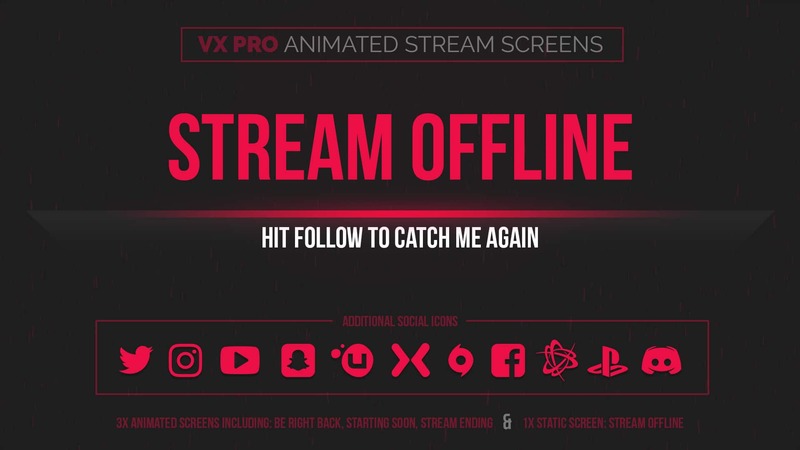 VX Pro animated stream screens are the follow-up, complimentary stream screens to our first ever animated stream overlay. 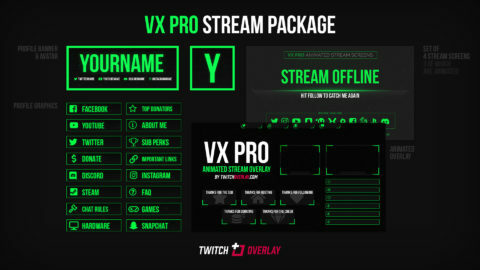 Since arriving on the site late last year VX Pro has been mammothly popular, and now those of you happily using the overlay can expand that aesthetic beyond the stream itself. 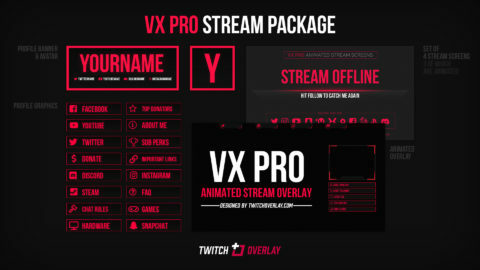 Included in this download are 3 animated screens in a .MP4 format, ones for Be Right Back, Starting Soon, and Stream Ending messaging. 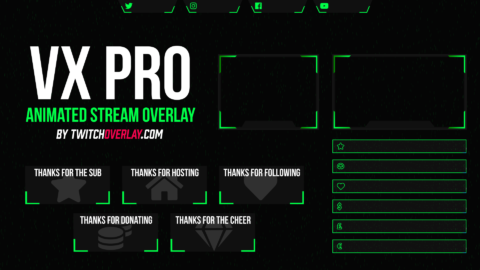 Also included is a static .JPG screen for Stream Offline, as unfortunately Twitch doesn’t allow animated offline screens as yet. Finally, a whole set of social icons are there for you to place over the top of your video and add your own text (please see the Download Details panel top-right for the font to use).